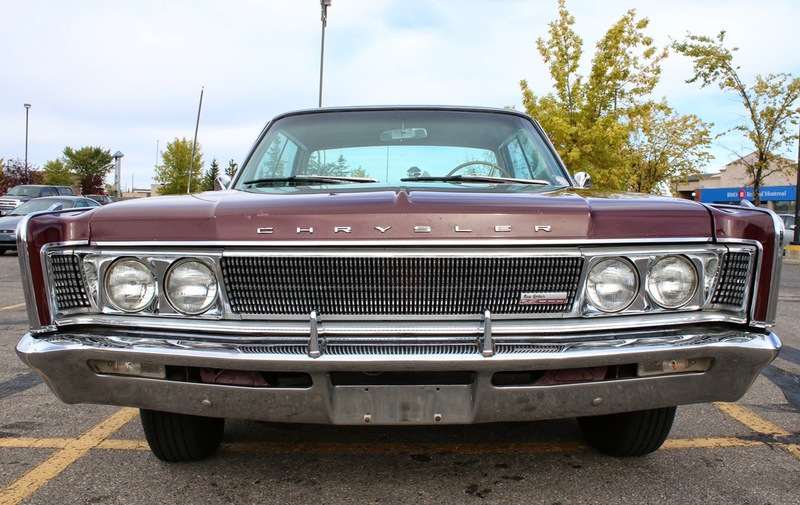 Chrysler's styling seems to oscillate wildly between conservative and radical. 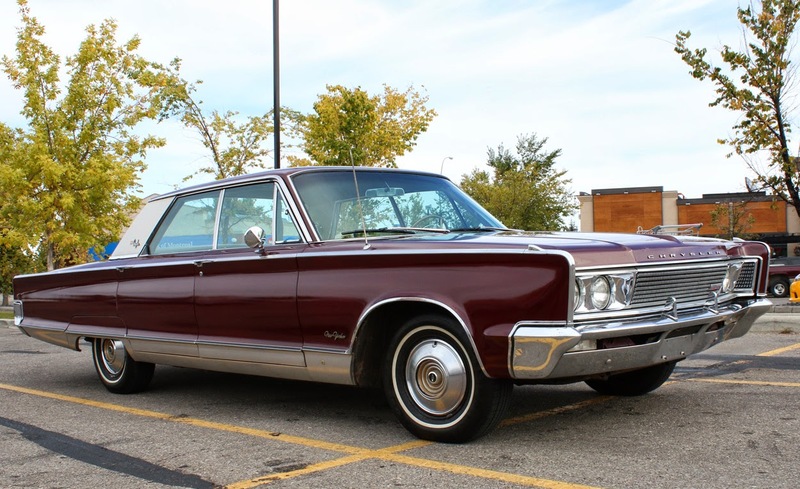 Rarely in synch with the trends of the times, Chrysler's luxury cars have always been interesting. I'm unsure whether having a body devoid of any gentle curves qualifies as adventurous or stodgy but in all it's maroon glory we have a 1966 Chrysler New Yorker today. And what better way to follow a tiny one-cylinder micro-car than a Nimitz class luxo-barge? There are a lot of flat surfaces and they seem to go on for acres! Luckily this Chrysler has tons of torque so long as you have wads of cash to fill the tank. 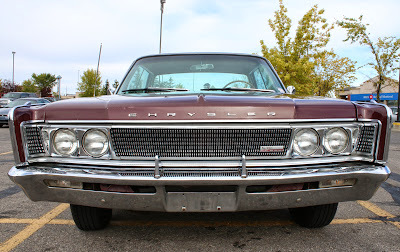 This was the first year for Chrysler's legendary 440 V8. Displacing 7.2 liters, it twists out 480 lb/ft of torque and a healthy 350 horsepower. It remains one of the all time greatest engines for motivating massive luxury yachts. Prices for '60's Chryslers are less than comparable Oldsmobiles and Lincolns. And they're especially cheap if you think of it as cost-per-pound! So if you're looking for a mobile fuel disposal unit that doubles as a handy skewer for unwary pedestrians look in your classifieds for one of these. Cars like this New Yorker are remnants from a different time. 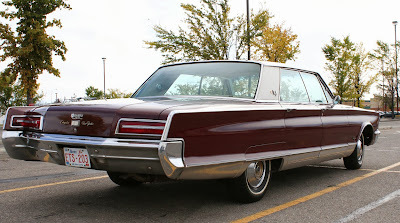 A time before cars were designed by multiple committees and one designer could say "Hey, why don't we make a 19-foot long car with no curves?" and make it happen. 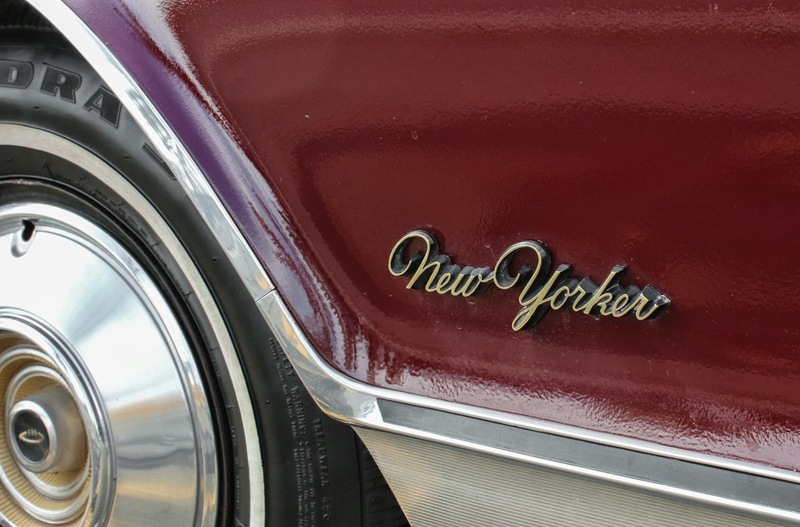 For better or worse, the Chrysler was bold. 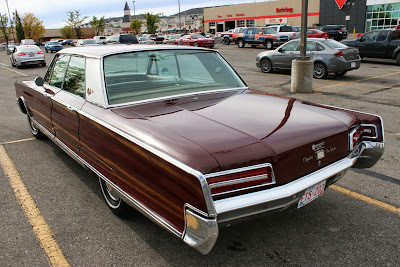 And that's something that can't be said of any car today stylistically.